It has been awhile since my last post but I have been busy coloring my art getting ready for the Long Beach Comicon which is next weekend (May 11). I also got such a good response to my angels that I have been drawing my own art trying to get things done in time to have at least three pieces to show. Here is what I have so far. I REALLY like the way Darth Maul turned out. I even added a glow to his light saber. I definitely think this one will sell at the show. 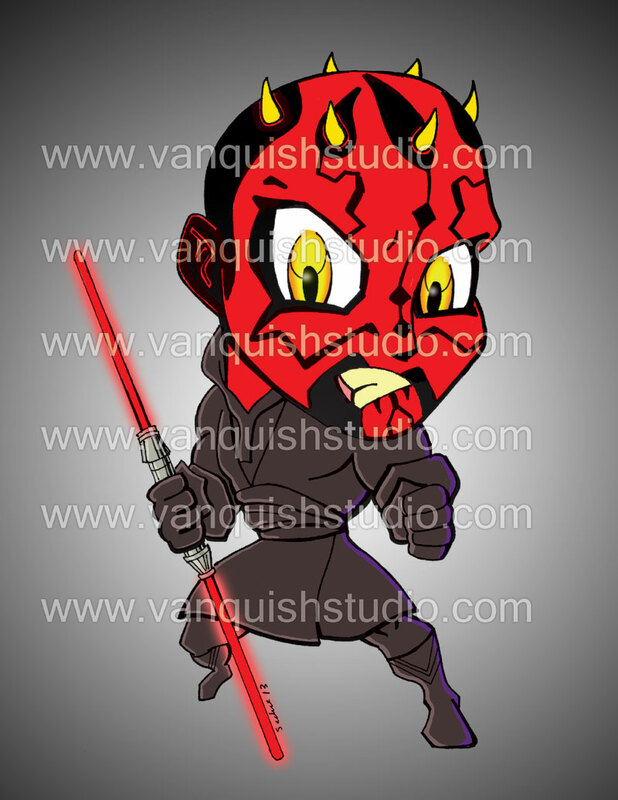 Categories: Uncategorized | Tags: Darth Maul, Darth Maul chibi, how to draw Darth Maul, how to draw Star Wars characters, Professional, science fiction, Star Wars, Star Wars chibi | Permalink.